Due to the persistent medical problems the Man in Black has been going through in the last couple of years, it is wondrous that this album has been released at all. The fact that it is superlative makes it all the more special. In fact, rarely if ever has an artist totally reinvented himself... while still staying true to his muse... quite like Johnny Cash has done with the four American Recordings disks he has released. Following in the pattern of the previous ones, Cash throws in a few originals, covers of older songs and also tries on some newer songs by artists most of his contemporaries have never heard of. Cash' voice was never a warm one, and now it is a sturdy tool, not fancy or pretty but it does a craftsman's job of getting a song across. The Man Comes Around draws from the strongest pool of songs yet in the series. 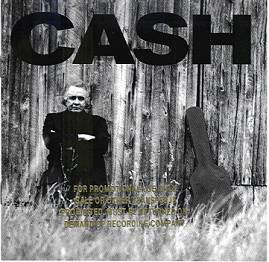 He opens with the title track, a quiet and solemn devotional which Cash says in his liner notes inhabited his soul during the nights of making the album. Cash is chilling on Trent Reznor's "Hurt," the simple instrumentation making the song even more powerful without Nine Inch Nails' ornate swirl of studio effects. His voice aches of wisdom and regret in a soft take of the Beatles' "In My Life" and plunges into despair on a duet with Nick Cave of Hank Williams' "I'm So Lonesome I Could Cry." Covers of other unlikely bedfellows like Simon & Garfunkel's "Bridge Over Troubled Water" (done as a duet with Fiona Apple), Depeche Mode's "Personal Jesus" and Ewan MacColl's "First Time Ever I Saw Your Face" mold together with bedrock efficiency. Not all of the songs here are completely worthy, though. For example, the Eagles' "Desperado," while a lovely song, always seemed like a lite beer version of the outlaw music that Cash and his friends Willie Nelson, Kris Kristofferson and Waylon Jennings were releasing at the time. So while Johnny's version (with backing vocals by the song's co-writer Don Henley) is very good, it seems a little superfluous. Same with "Danny Boy" which is granted a classic standard, but it's also become a clich�. Copyright � 1997-2003 PopEntertainment.com. All rights reserved. Revised: August 05, 2015. Unlike the man and his guitar dynamic of American Recordings, the first album in the rebirth of the man in black's hipster sensibility, on Unchained he employs a backing band. Of course, that backing band is Tom Petty & The Heartbreakers, not too shabby for a guy old enough to be your grandpa. The band plays to Cash' strong suits, it never tries to overwhelm the music. The fact that Hank Williams is still the prototypical country music legend fifty years after his untimely passing is not just about his legendary hard life and young death in the back of a Cadillac. Lots of artists have died before their time, and were sadly forgotten soon after. Williams was not just an arresting performer and guitarist, he was quite possibly the greatest songwriter on the very human emotion of despair. 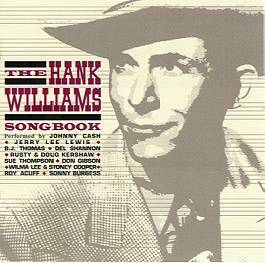 While Williams' songs are still recorded and relevant to this day (Norah Jones had an AAA hit with her sultry take on Hank's "Cold Cold Heart" last year), these recordings are mostly versions done in the late 50s-early 60s country and rockabilly stars... at the time that ole Hank was becoming legendary, in large part by versions of his songs like the ones included here. These recordings were mainly pulled from the legendary Sun and Hickory labels. There are three songs by fellow country icon Johnny Cash sounds sturdy as an oak even on these early songs. His reading of "(I Heard That) Lonesome Whistle" is creepily solitary, that commanding baritone protraying a lifetime of hurt, but Cash can also have some fun with one of Williams' lighter tunes, "Hey Good Lookin'." Jerry Lee Lewis is also a shining star here, adding his signature rockabilly barrelhouse piano to the gumbo of "Jambalaya (On the Bayou)," but he also captures the emotional resignation of "Cold Cold Heart." B.J. Thomas' 1966 pop hit version of "I'm So Lonesome I Could Cry" still sounds wonderfully desolate, while pop singer Del Shannon gives a sixties sheen and a surprising country lilt to "Ramblin' Man." Don Gibson contributes a snaky blues-rock feel to "Move It On Over." Sue Thompson did a lovely teen queen take on the unrequited lament "I Can't Help It (If I'm Still In Love With You)." Copyright � 1997-2003 - PopEntertainment.com. All rights reserved. Revised: August 05, 2015.